Manufactured from recycled paper. 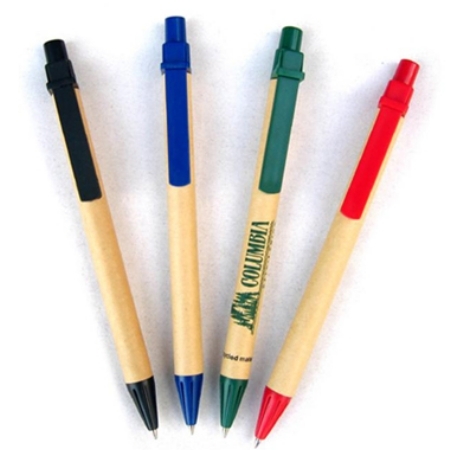 These eco-friendly pen replaced wood by worn-out paper, it holds the incomparable quality beyond plastic pen etc. Size: 13X0.85CM.